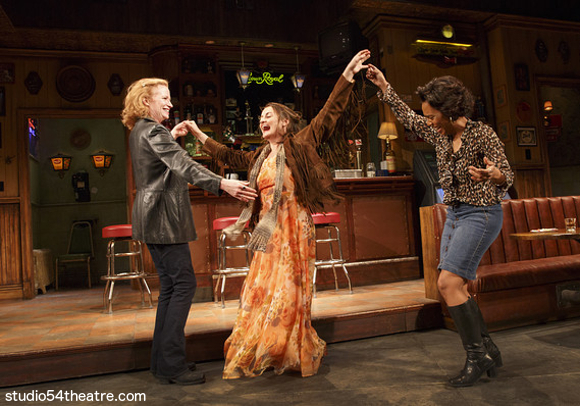 From Pulitzer Prize-winning playwright Lynn Nottage comes Sweat – the play with one of the most powerful and relevant political messages of the last decade. Written in 2015, this story of the discontent and conflict within the industrial working class serves to paint a picture we’re all only too familiar with – Sweat has never been more current than it is today. If you haven’t seen it yet, now is the time! Book your tickets to this important commentary on culture and society while they last. Opening at the Oregon Shakespeare Festival in 2015 to overwhelmingly positive responses from critics and audiences, Sweat soon moved to Broadway. The cast features Carlo Alban as Oscar, James Colby as Stan, Khris Davis as Chris, Johanna Day as Tracey, John Earl Jelks as Brucie, Will Pullen as Jason, Miriam Shor as Jessie, Lance Coadie Williams as Evan, and Michelle Wilson as Cynthia. The behind-the-scenes team is comprised of set designer John Lee Beatty, lighting designer Peter Kaczorowski, costume designer Jennifer Moeller, and projection designer Jeff Sugg, with original music and sound by Rob Milburn and Michael Bodeen. Under superb direction by Kate Whoriskey, Sweat was nominated for THE 2017 Drama Desk Awards in Outstanding Play and Outstanding Fight Choreography, and was further nominated for three Tony Awards; Best Play and Best Performance by an Actress in a Featured Role in a Play, for Johanna Day and Michelle Wilson respectively. Set in the single location of a bar in Pennsylvania, Sweat follows the meeting of a group of old friends who have worked together in a factory. However, as the prospect of layoffs becomes apparent, conflict arises within the group, stirring racial and class tensions as the friends end up ultimately pitted against each other in the struggle to stay above the poverty line. Dealing with complex matters yet clear in its message, Sweat artfully creates mingled emotions in the viewer – both feelings of compassion for the clearly abused characters, as well as fear and loathing for the hate-fuelled directions into which, whilst admittedly pushed by circumstance, the workers still make the choice to follow. 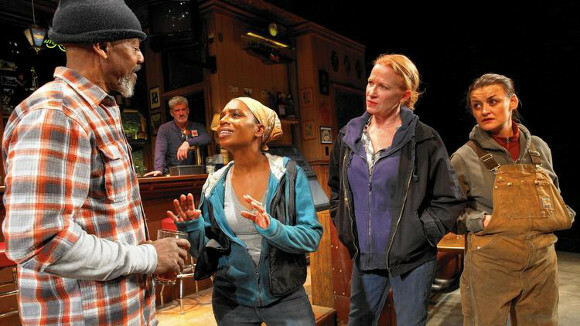 In the current political climate, Lynn Nottage’s flawlessly-performed and fearless look into the gritty reality of the industrial working class, and the effects of poverty on them and society as a whole, has never been more important. 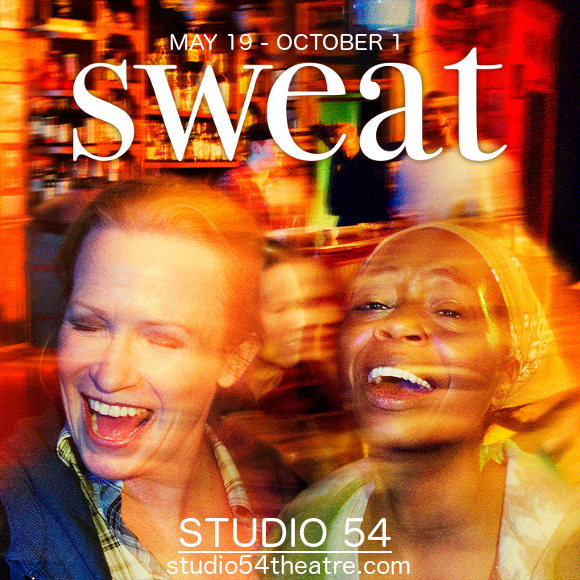 Don’t miss it – book your tickets to see Sweat today.